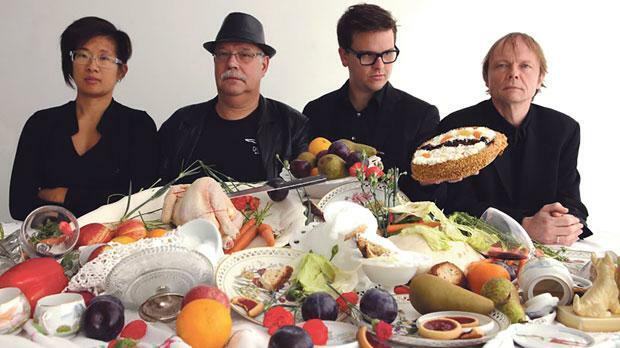 Stein by POW Ensemble, a Dutch music group led by composer Luc Houtkamp, is a varied, light-hearted show with catchy songs and improvisations performed by five virtuoso musicians portraying an eclectic ensemble of instruments. The first half of this concert presents a collaboration between Maltese poets and composers, in a song-cycle portraying a contemporary idiom in both verse and music. The second half is a musical interpretation of writings by Gertrude Stein, the literary counterpart of Picasso, Matisse and Gauguin. Her writings are vivid, cryptic, humorous and very rhythmic and have been set to music in this project by Houtkamp. Taking part are the virtuoso tap dancer Peter Kuit, the multifaceted singers Stephanie Pan and Guy Harries, the funky tuba player Jurado and the avant-gardist computer player Houtkamp bridging a century of texts and music. The performance of POW Ensemble for the MIAF is supported by the Netherlands Royal Embassy in Malta and the Prins Bernhard Cultuurfonds in the Netherlands. Tlieta(3) is ŻfinMalta Dance Ensemble’s evening of three works by female choreographers and composers. The company will be presenting the works of emerging choreographer Rachel Calleja, established dance maker Francesca Tranter and internationally-acclaimed dance artist Athanasia Kanellopoulou. This trio of strong female voices will be reflected through their individual questions on identity, space, gender and their inherently Mediterranean sensibilities. The evening will also include sound scores by Jess Rymer (UK), Veronique Vella (Malta) and composer and sound designer Konstantina Polychronopoulou (Greece). • More information about the festival and details about events may be obtained at www.maltaartsfestival.org. Produced and directed by Sean Buhagiar, with a script by Simon Bartolo, B’tal-Linja Jaqbillek Żgur is a theatre experience which will tour a number of open spaces around the islands, turning them into a stage. 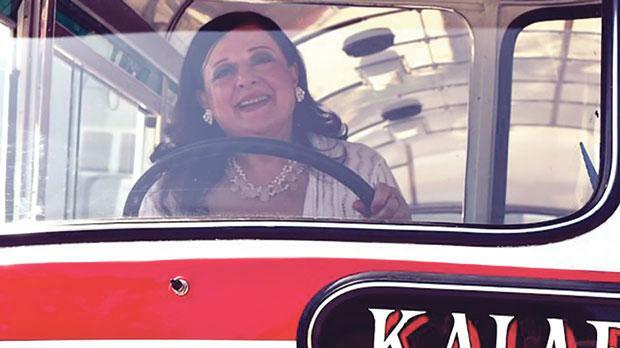 The story revolves around a Maltese bus which, actually, will be the cast’s touring vehicle; a splendid specimen of our beloved Malta-built buses refurbished to its former glory. The audience will be invited to watch the live performance up, close and personal. One can get chairs, stand up, sit down on the zuntier, at the cafeteria close by or just in front of the actors. In fact, it’s all free to watch. The audience will experience the purċissjoni ritual, the lovely tradition of teatrin, the conversations għana-style spiced up with a pinch of carnival, a dose of festa and a spoonful of Maltese humour. All this is put in a contemporary pot, stirred well and delivered to a space near you. This project is co-funded by FOPSIM through the EU Collective Plays! Project, funded by theCreative Europe Programme of the European Union.